I was introduced to Manual Alfonseca's books earlier this year. Over that time, I have read the give books in this series and one other. Each of the books have been excellent reads. And as this is the fifth and final book in the Sleuths of the Spanish Transition series, it is with some sadness that I write this review. 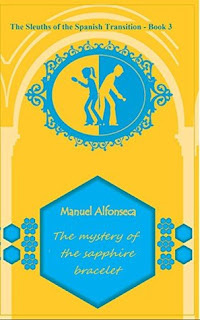 This book released in English before the Spanish version, which is a first for the works from Alfonseca. 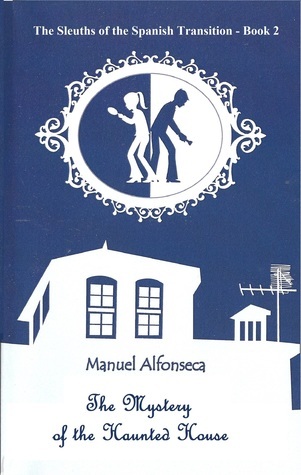 I have enjoyed this series immensely and plan on read many of Alfonseca's other works that are available in English. But back to this specific book. 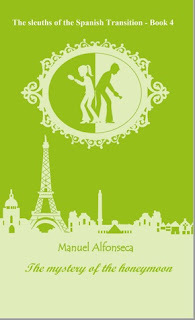 This book is a few years after the adventure of the honeymoon. Vicky is working as a researcher for a large firm. Gonzalo has continued his career as an engineer. And now they have a small child. The child is young enough that it is still sleeping in a crib and breastfeeding, but old enough that Vicky is back to work. As part of her work Vicky has made a new discovery that her employer is trying to sell. So, Vicky has been invited to the Egyptian Vulture Country House to present to two prospective buyers. But as we know from other adventures in this series Things are often not as easy and simple as they seem. There is an apparent attempted kidnapping. 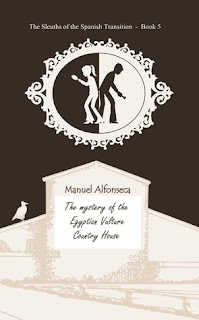 Then on the first night at the country house, a giant ruby is stolen from a Saudi price, and the next night there is a murder. Vicky is at the estate, Gonzalo is at a hostel in town to be close by in case he is needed. And Gutierrez ends up on site to investigate, but he has been promoted from inspector to superintendent. We have a group of thugs. 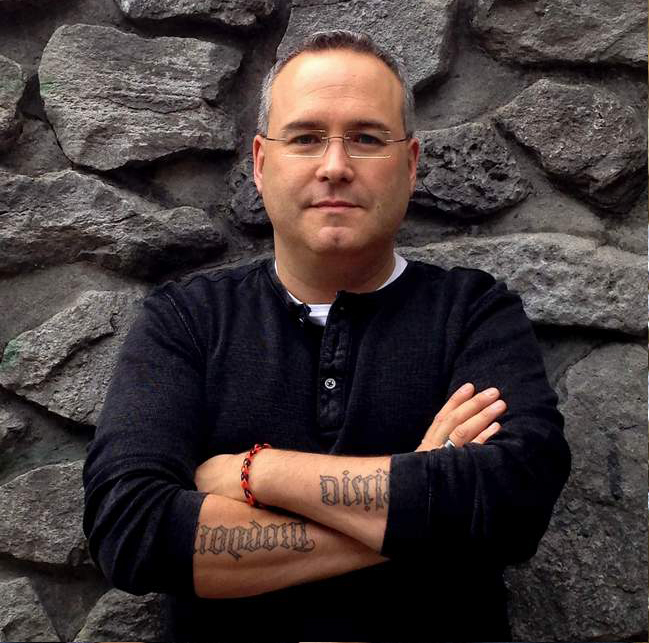 There is suspicion of influence from the growing Communist Party. And maybe a prank that has gone very bad. It is interesting to watch as Vicky, Gonzalo, and Gutierrez. All of them work the case from different angles. And yet come to the same conclusions from different line of thought and inquiry. 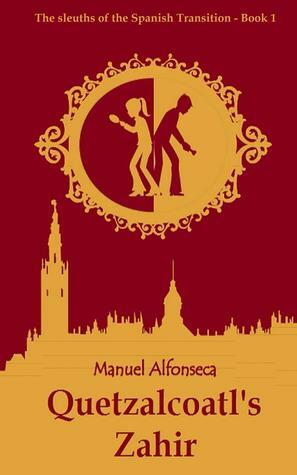 This book mostly takes place over 2 days at a country estate in Spain. There is less action and less danger than some of the other adventures. But it is still a great mystery to read. I really enjoyed this book and to be honest the development and growth of the characters over the five books in this series. The story follows Vicky and Gonzalo who meet at the library, through their courtship, marriage and now a young family. And yet they keep encountering new and different mysteries. This book was a great conclusion, even If part of me still hopes we encounter the mystery solvers in another adventure down the road. This book was translated by the author. It is an excellent read, and I recommend both this specific book and all five in the series!